This year has been, for me, a time of debunking all the myths I have had about our culture and heritage. Eye-opening and thought-provoking, to say the least. Early this year, we broke down the myth behind the man that is Jose Rizal. Some time after, the fact that we don’t actually even have an official national hero. 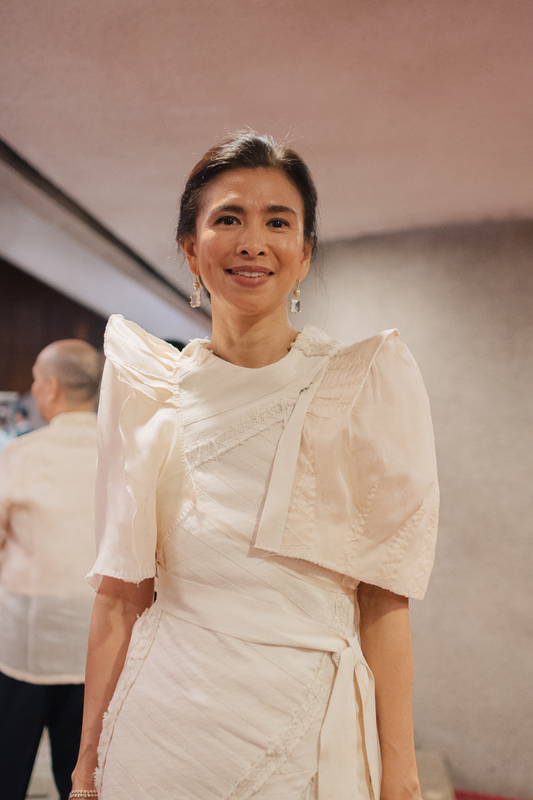 And now, how yet another one of what we consider a national symbol—our national dress—is not only unofficial (meaning not stipulated by any law), it is also, at least until recently, not even as representative of the nation as we had believed. The terno is not our national dress. Sure, if we’re technical about it, we’d say, it’s the baro’t saya. (And the barong Tagalog for men.) But still, that’s not it. A quick background: The terno was made popular by designer and National Artist for Fashion Ramon Valera. 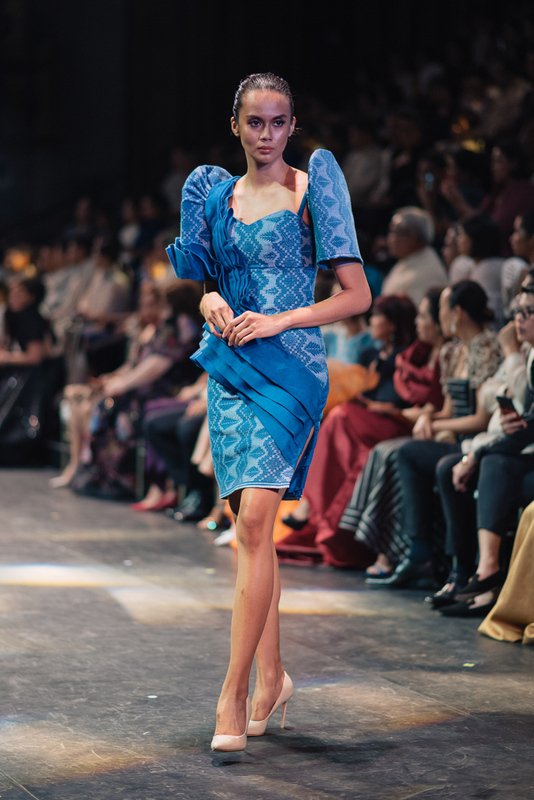 Also called the traje de Mestiza, or the Mestiza dress, the multi-piece baro’t saya was merged to create a singular whole—the terno. But there’s a little problem, I think, with calling this the National Dress. 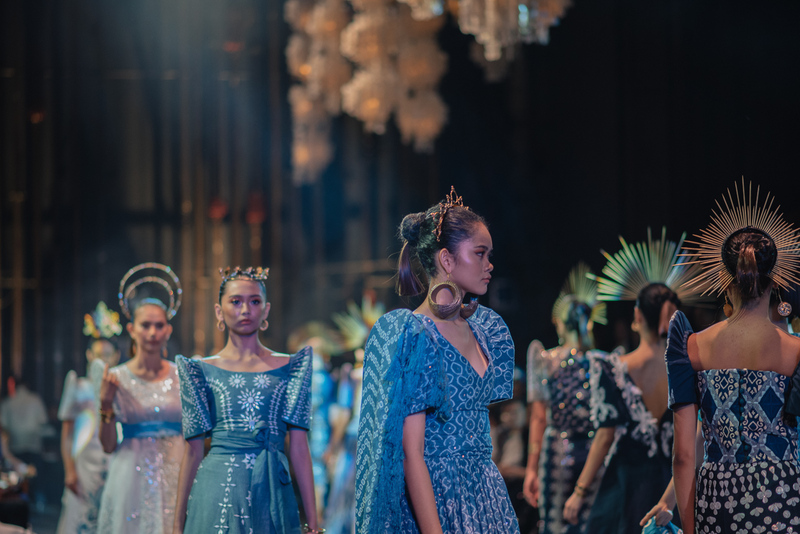 The same way many of our unofficial national symbols are hinged on the location of the ruling class or central government—in short, Manila—I believe the National Dress is also not representative of the entire fashion heritage of the country. Regional culture and products are gaining more and more traction these days, thanks to the many fairs, exhibits, and shows that showcase the products of different provinces. Take ArteFino, which puts the spotlight on the products created by various artisan communities from all over the country. Habi Fair and the Negros Trade Fair are two other examples. Terno-inspired short dresses by Anthill Fabric, as seen in ArteFino 2018. 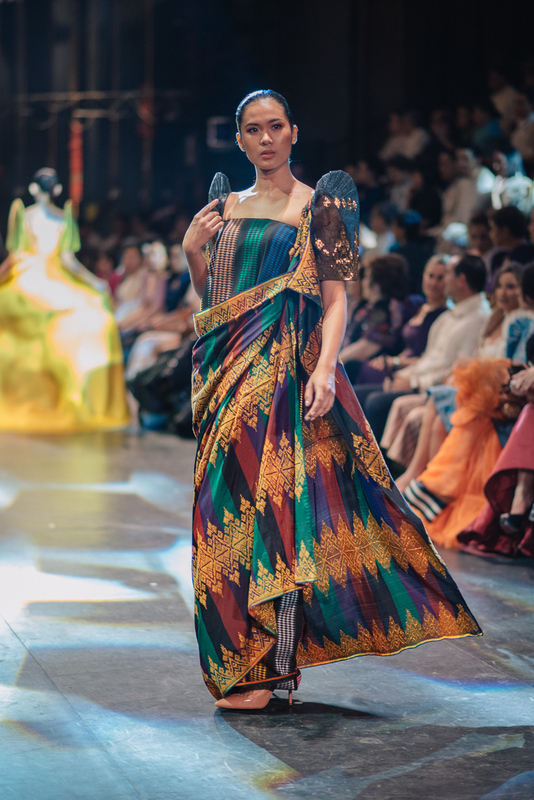 The dresses feature weaves from various artisan communities, such as binakol weaves from Bangued, Abra. 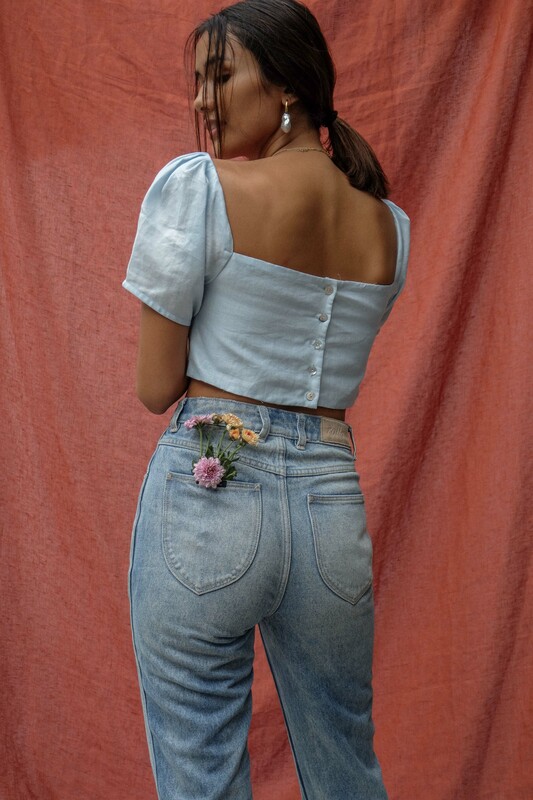 Linen crop top with butterfly sleeves, inspired by the terno. Part of Araw the Line’s Independence Day collection. In the fashion front, another event is set to put regional designers and creators at the forefront. 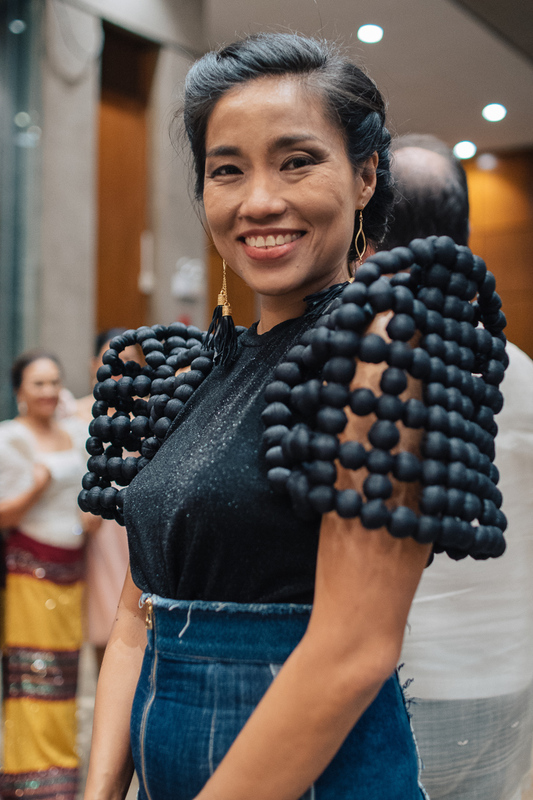 TernoCon, created by Bench and the Cultural Center of the Philippines, aims to do this by not only pushing the classic terno back to national style consciousness, but it is also widening the dress’ appeal by encouraging designers to innovate and inject their own culture into the dress. 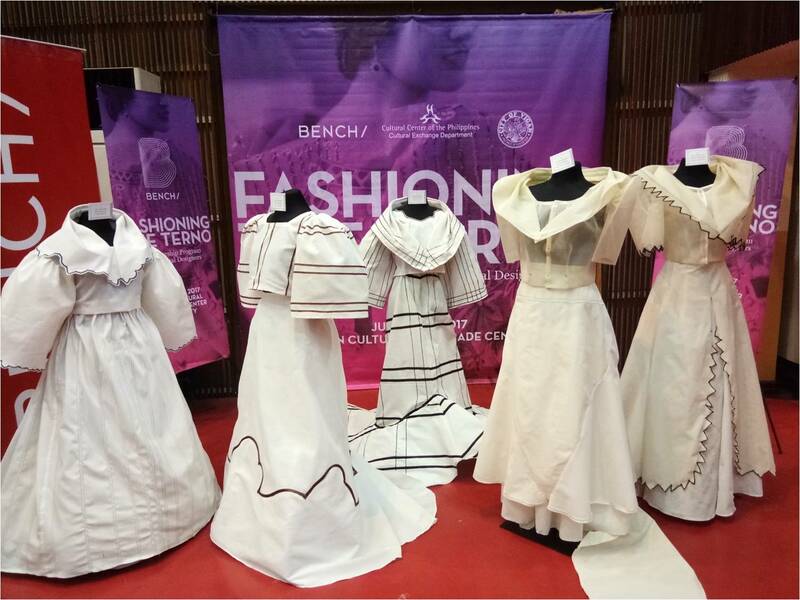 At the TernoCon held last Nov. 11, 30 designers from all over the country presented their renditions of the terno. 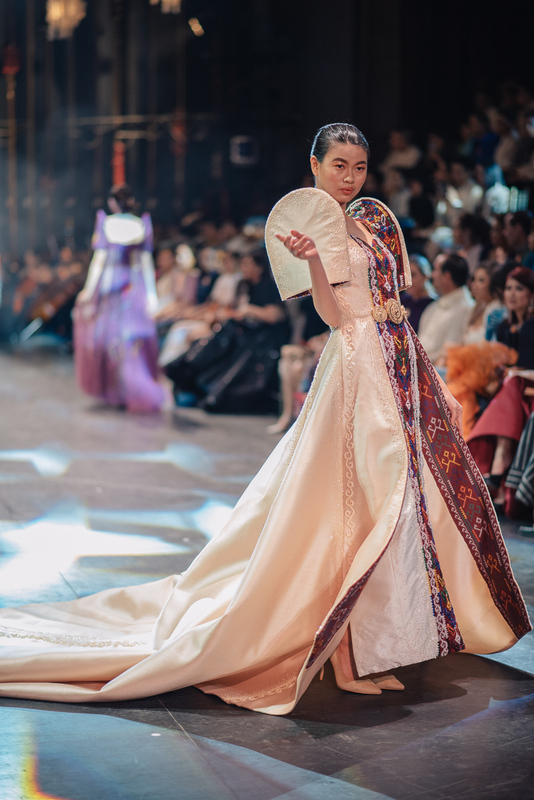 Divided into two categories—Balintawak or cocktail terno, and the formal evening terno—the showcased designs have proven that the terno can be more than just a costume. That it’s not just something you’d wear to the occasional formal event or wedding, that you could make it work for a contemporary and even casual setting, and most importantly, that you can incorporate it into every region’s culture. JC Buendia’s collection, entitled “Jessica,” was designed to “make the terno appealing to the younger generation.” I would like to think that he succeeded because I personally would like to wear this to work. 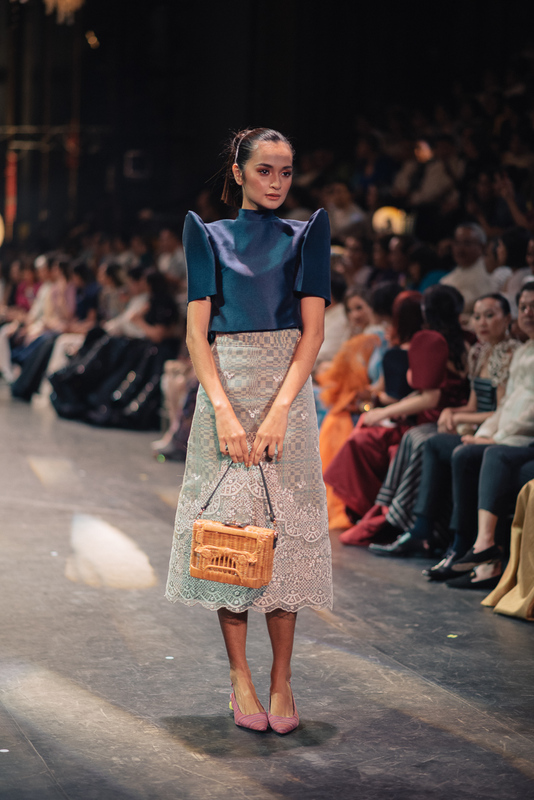 Guests at Ternocon sport the Filipiniana blouse with pants, proving it can be a modern ensemble, too. 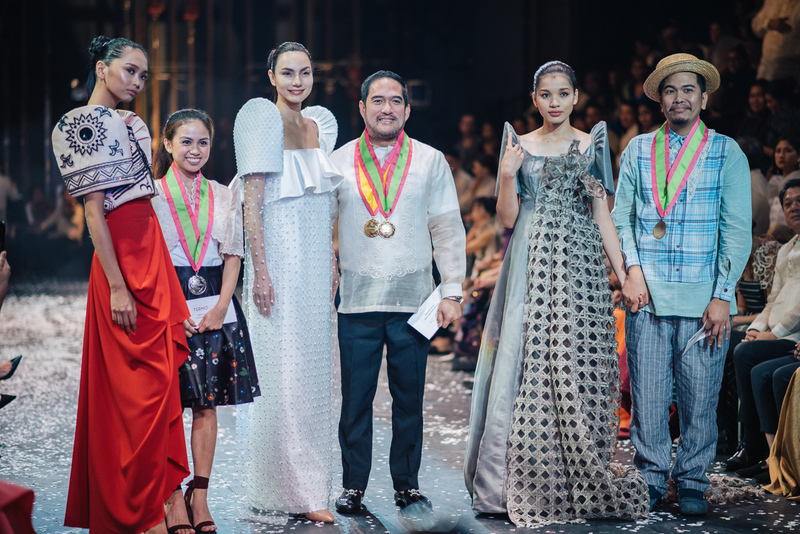 The featured designers weren’t the only ones who displayed the versatility of the modern terno though. Even guests at the event became case studies, showing that the terno can be modern and sustainable with its use of fabric and design. Terno bolero by Good Luck, Humans. Good Luck, Humans is known for their “fun and functional” hand-sewn clothes, bags, and accessories. 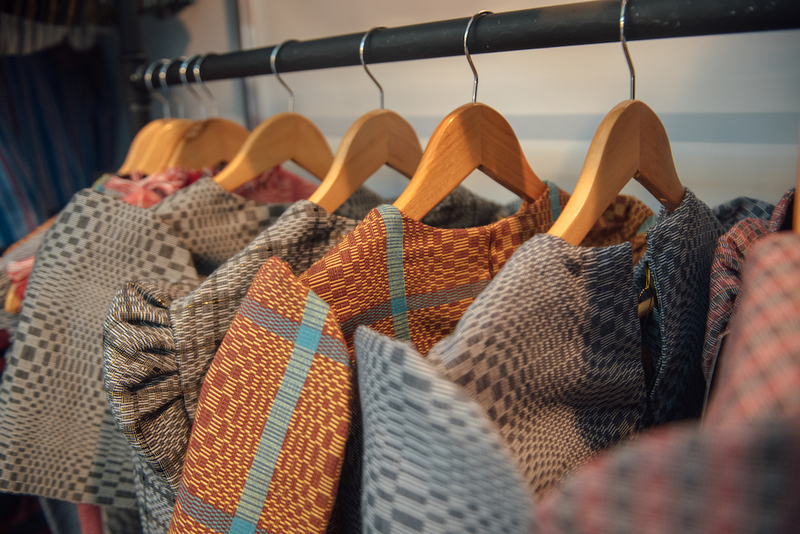 One of their popular collections feature reused scrap fabrics. 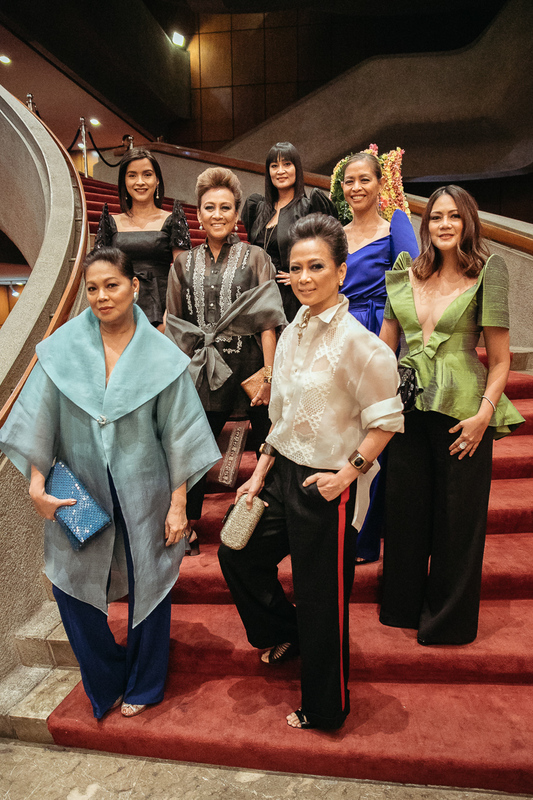 If the awards night was any indication, it would be safe to say that the terno is well on its way to coming back into the national consciousness, and back into our daily wardrobes soon enough, too.